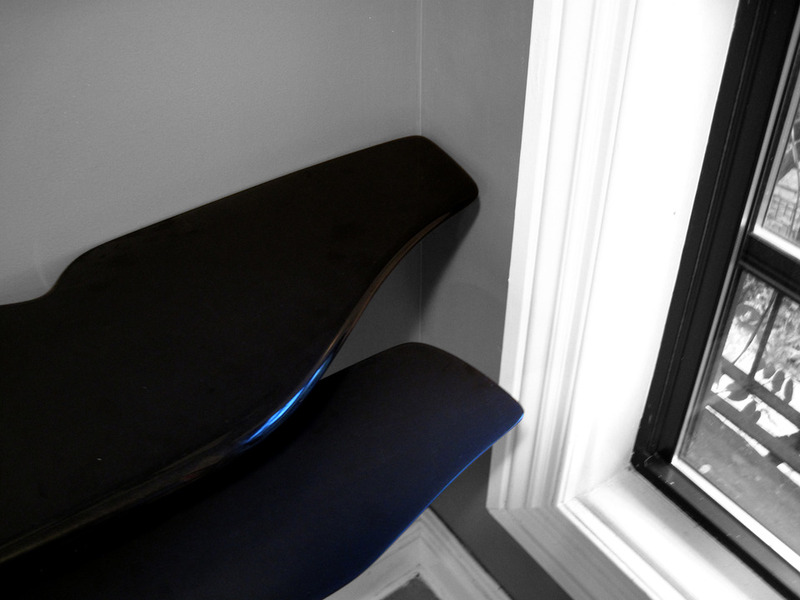 The desktops curvature molds to the confined corner space. The cutting surface provides full access to the window while continuing the datum of the mantel. This simple wall mounted desk topped with polished black Corian helped to set a fire to Steve’s freelancing potential. It serves as the base for his graphic design workstation, giving him a productive work zone out of the main apartment flow.